Muscovite has a pearly to vitreous luster on its surface, especially if held up to the light. 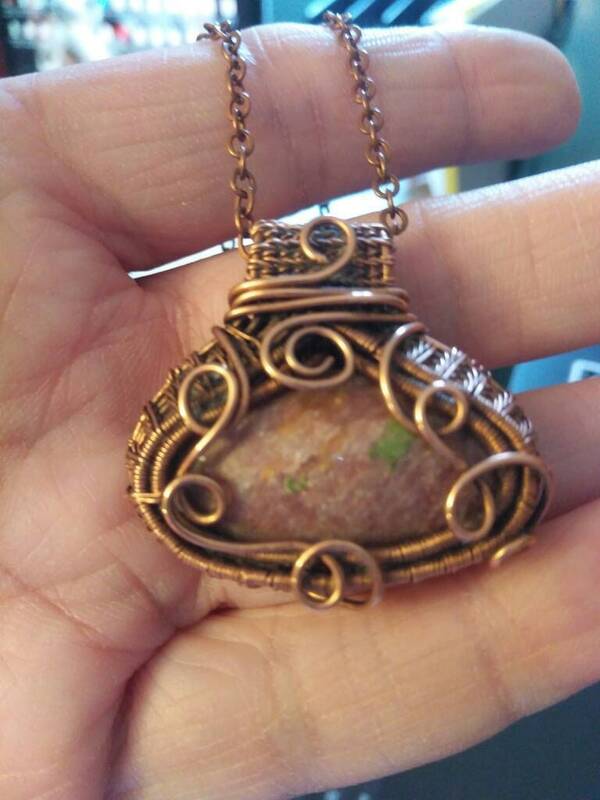 The colors can include slight brown, yellow, green and rose tint. 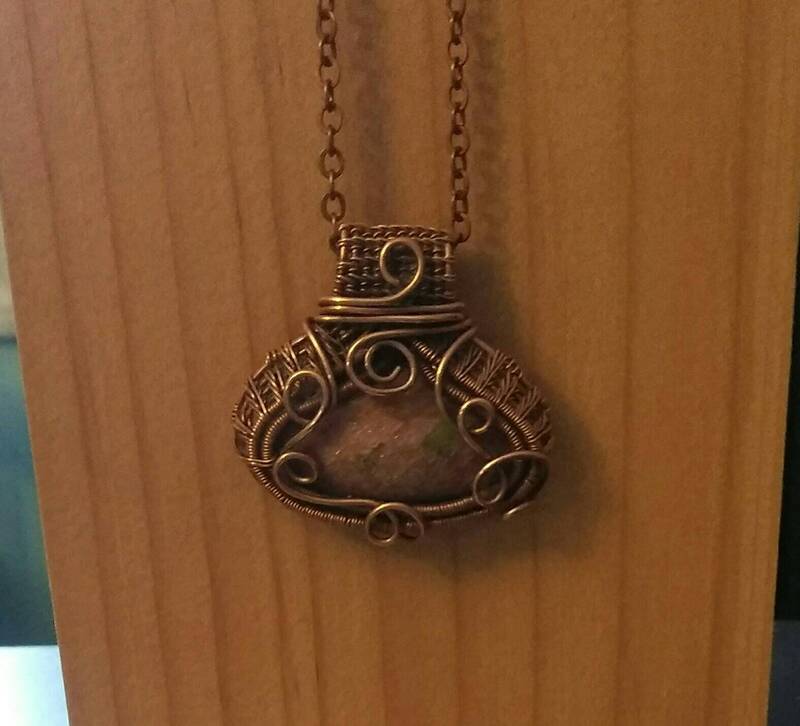 The total size of the pendant is 35mm x 35mm (1 3/8" x 1 3/8") and includes a 30mm x 15mm (1 1/2" x 5/8") Muscovite cabochon. 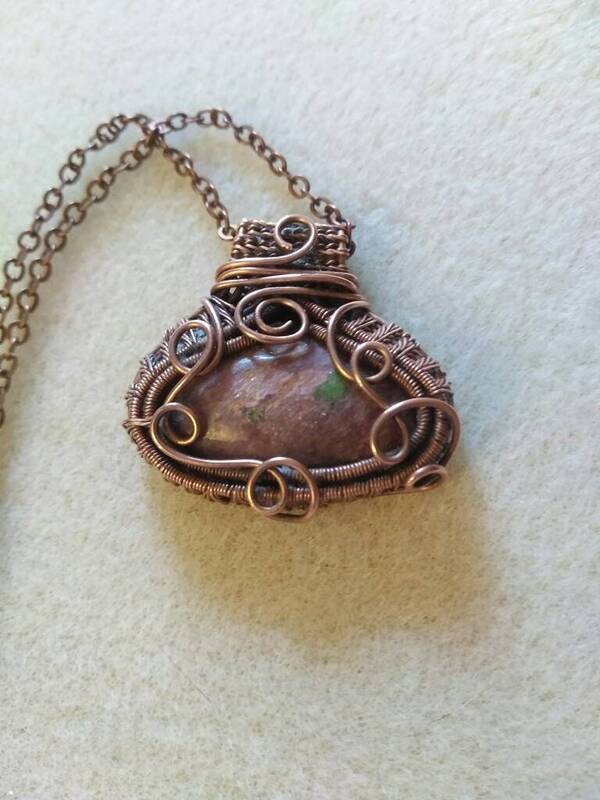 The wire used for wrapping is copper that I have oxidized (antiqued). 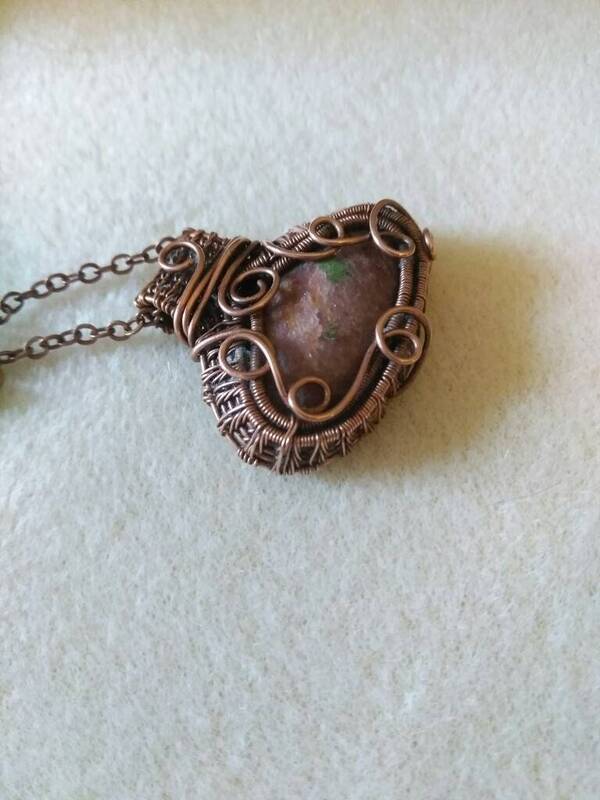 This pendant includes an 18" (46cm) antiqued copper chain with a 2" (5cm) extension, making the necklace adjustable from 18" (46cm) to 20" (51cm).